"Interstuhl Silver Chair 362S high backrest"
The product design Silver comes from the work that bridges the gaps in Lively, into privacy and silence. We wanted to create a functional object that anywhere and arrive in many forms, fit, or can act solitary. The irritating quality, curves and details touched. The Silver family has been enriched with many ideas and thoughts. It's a pleasure to see how each product change any setting, a new mark. Hard castors for carpets or soft castors for hard floors. 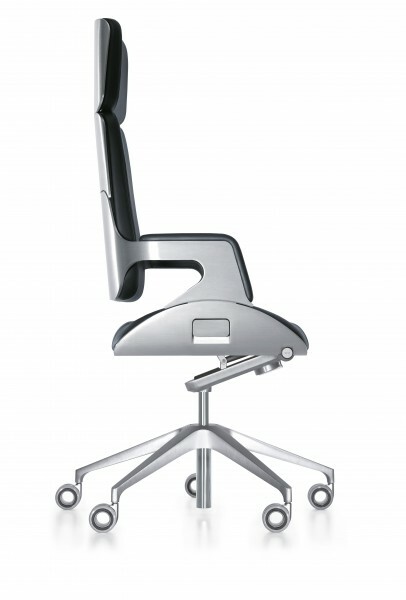 Related links to "Interstuhl Silver Chair 362S high backrest"
Customer evaluation for "Interstuhl Silver Chair 362S high backrest"